Prior advice on the most appropriate legal form for the activity (autonomous, civil societies, limited partnerships, etc.). Preparation and submission of settlement declarations quarterly, annual summaries. Permanent advice of all developments and legislative changes in taxation, and the resolution of all issues that may arise by the client. Tax inspections: assistance, defense, reply to requests, liquidations and resources in all taxes our scope to any body. Legalization of accounting records in the Commercial Register. Preparation and presentation of financial statements. 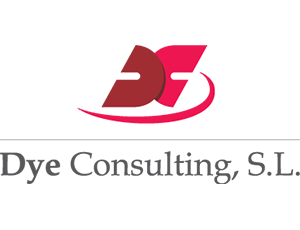 Dye Consulting SL provides security and peace of mind to partner with expert advice. Calculation and preparation all workers are paid their monthly salaries or severance payments in cases of casualties. Advice in fulfilling their work obligations as well as the protection of their rights. We process and prepare bulletins contribution to Social Security, high, low, data changes workers. We take care of managing and processing parts of high and low medical AT and EP as well as parts of confirmation. We conduct quarterly income tax declarations mod. Annual Statement 110 and mod. 190, and Certificates of retentions and data communication to the payer. Assistance, defense, reply to requirements and resources in situations Inspections Work. Conciliation Acts representation in the SMAC and dismissal procedures. Other procedures: working lives, certificates be aware of payment, debt collection procedures and postponements, contracts and remuneration to executives.